 Loom | Pandorapedia: The Official Guide to Pandora | Own AVATAR on Blu-ray & DVD Now! The Na'vi word for loom, ulivi mari'tsey mak'dinio, translates roughly into “branches of the tree look to each other for strength,” or “many branches together are strong.” Depending on the type of textile produced, the loom can also be referred to as Eywa s'ilivi mas'kit nivi, (or just mas'kit nivi) which translates into “Eywa's wisdom is revealed to all of us.” This evocation of Eywa is a clear indication of the loom's importance in Na'vi culture. It is also a compelling description of Eywa, who, in this context, is depicted as a kind of cosmic weaver who brings the disparate elements of Pandora together into a harmonious whole.